yesterday night was a busy night. Twitter was on fire again. A trend emerged from Sunday night well into Monday and leading all the way to thursday morning. 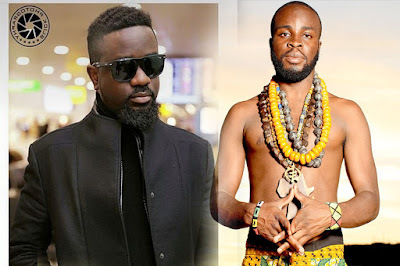 The battle on social media was an artistic war between Sarkodie and M.anifest. Well, not Sarkodie and M.anifest but fans and followers of the self-proclaimed King of Gh rap and the god MC. WHO DO YOU GUYS THINK IS THE BEST ON THE DISS BATTLE...?? ?